Parents and caregivers understand the need for children to have educational and entertaining toys for them to play with. If they’re not outside, then their indoor playtime should have some value and help them to grow. It’s also wonderful when the toys are interesting for other family members to join in on the fun. 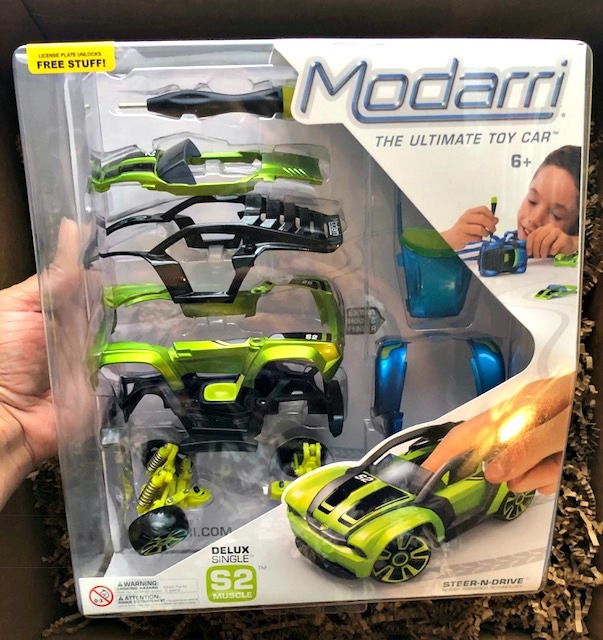 Modarri cars offer great toy tracks and cars that are durable, finger-powered with interchangeable high-quality parts, include real steering, suspension, rubber tires and no batteries needed. Kids can design and build their own models using their creativity and imagination. The unique toy cars are of Diecast-model quality and can be played with in a similar manner to LEGOs. The mix-and-match building system allows any of the 11 pieces to be interchanged with tons of different components. There are so many possible car designs to bemade for an endless play experience. 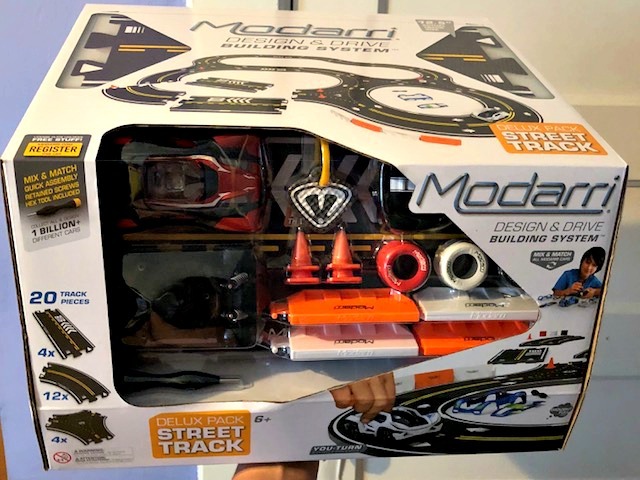 Whether you’re a kid or a grownup, you’ll enjoy playing with Modarri because it is fun to design cars, no matter what age you are. With Modarri cars, you can become the car designer, mechanic, and driver while you’re playing. Once you design the car, you become the driver using the real steering and suspension mechanics. Control with a single finger in the driver’s seat while you do sharp turns and quick figure-eight patterns without ever re-positioning your hand. Amazing and high tech, this feature is something that no other toy car does right now. Educationally, Modarri toys provide a STEM (Science, Technology, Engineering, Math) experience by encouraging logic, creativity, and imagination, all without the use of screens or batteries. Get ready to engage in classic play with the entire family. Build cars together, share parts, actively socialize and make memories together without a phone or tablet. Build your own street-styled race track with this kit. Delux S2 Muscle Car with extra roadster hood and fender allows you to design and build your own unique car. Real finger-steering and suspension mechanics and modular mix and match design for endless possibilities. Uses retained screws that don’t fall out and allows you to quickly change multiple parts by simply loosening a couple of screws using the swivel tipped hex tool provided.